hhhhhh! Let's keep it a secret, okay. I stumbled on to this site while looking for white cotton gauze, to dye for ruffles. I am going to make a new duvet with 125" white muslin, and I wanted wide, floppy, ruffles in hand dyed (palest blue) voile or gauze. 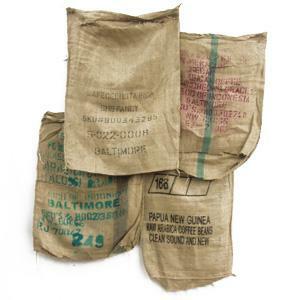 I started looking around this site and found the craft burlap bag selection...check out these prices! I am going to do some serious ordering. How cute would the colorful potato bag bag be as a memo board in the kitchen? Even the farm girls who probably have access to this stuff all the time have to agree this is a good source. 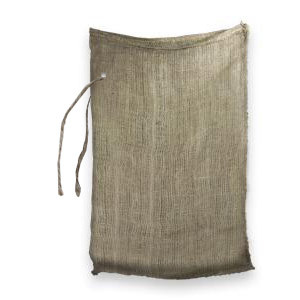 Not even worth the time to sew a burlap bag. I can think of all kinds of projects for these. Oh, and they had the best price for the muslin, also. What do you think? oooOOOOOo! I love it. Thank you for sharing this wonderful site. OMG! I just went there and bought a ton of supplies! Thank you so much for sharing! Holy COW! Those are great deals! 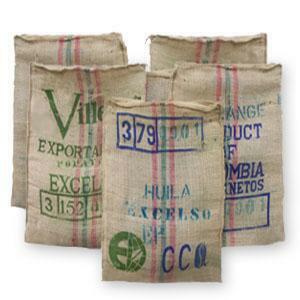 The coffee bags are what really grabbed me. Very cool! Thanks for sharing! found you via suzanne @ meridian road and SO glad i did! i am going right over and check those bags out...so vERy cool. please stop by & say hello to a fellow new yorker when you get a chance. Darling. What a great idea. What a great find! Can't wait to see what your new duvet! So glad you came by and visited today! I bet your duvet will be beautiful! Thanks for sharing this site. I am on my way to check it out.